The 5th Annual Chamber Golf Tournament is back and we are looking forward to a great afternoon of golf, prizes and fun! Whether you are an avid golfer or have never golfed before – we promise some great networking and a whole lot of fun! 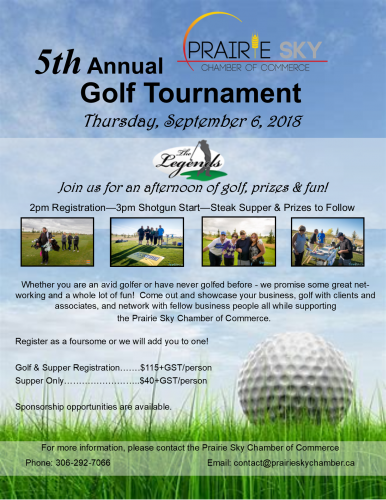 Come out and showcase your business, golf with clients and associates, and network with fellow business people all while supporting the Prairie Sky Chamber of Commerce. To register, click HERE. 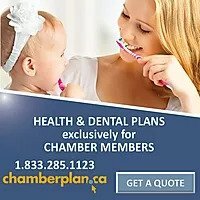 Interested in showcasing your business through sponsorship? Click HERE for all sponsorship opportunities.